Rmax V3.2. I can't seem to get the interior walls of a screw hole to attach properly. I've changed flow rate, line width, speeds and temperatures, but I think this basically comes down to a slicing problem. Does anyone have any ideas? Topic: Nimble Cable Length: which one? Which cable length Nimble should I order for my Max V3.2? I found some pictures from later in the build. I may not have it perfect, but it seems to be close. I bought the kit to upgrade from 3.0 to 3.2. I must be an early adopter, because the instructions for building the whip are not complete. Does anyone have a picture they can send of their whip? I'm interested in each end. I am having the same problem. I've been printing for over a year, and today the display won't work. I re-flashed the Rambo, and reseated all cables. I can print from Mattercontrol. Topic: Push in connector source? When I build my RMax, I recall there being some .1 pitch connectors that accepted a wire. No crimping required, just push in your stripped wire and done. What is this connector called? This is still a problem. When I print single parts, they are excellent quality. 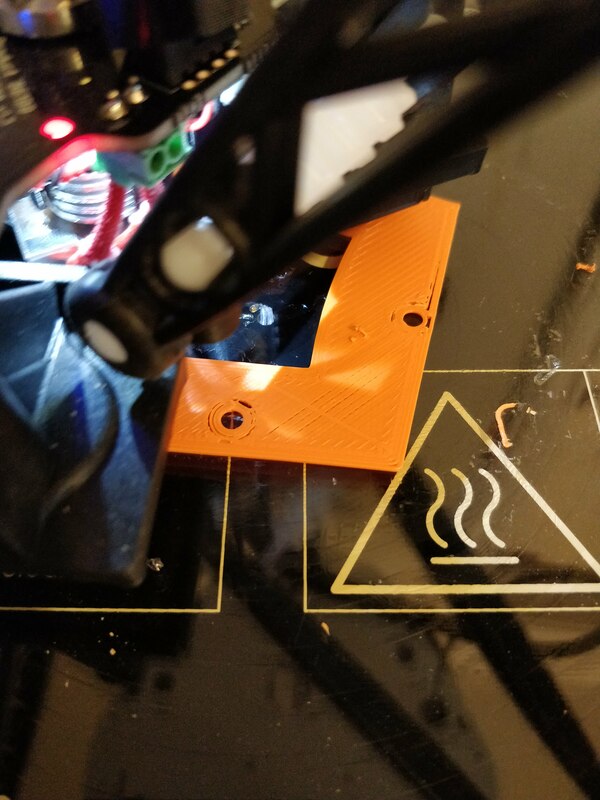 Multiple parts seem to have an occasional problem that kind of looks like under extrusion. I'm trying to add a picture, but it's not inserting after uploading. Has there been any movement on this? I'm surprised I haven't seen anything but old threads. The hot end is rigid. However, I turned the stop switch screw on the X post in by 1/4 turn, and the problem has gone away. Maybe the switch was between steps on the motor? I will check for play after my print finishes.